Chinese phone maker Xiaomi, which forayed into India today with three new smartphones, said the country has the potential to become its largest market outside of its homeground in the next few years. The three new smartphones -- Mi 3, Redmi 1S and Redmi Note -- will be priced at Rs 13,999, Rs 6,999 and Rs 9,999, respectively. The company will pitch its devices against the likes of Motorola, Samsung and Nokia as well as domestic players like Micromax to grab a share of the multi-billion smartphone opportunity in India. "We see India as a huge opportunity for us and are excited about bringing Mi products to this market. We have just started here but India has the potential to be our largest market outside of China, maybe next year," Xiaomi Global Vice President Hugo Barra told PTI. Xiaomi has decided to take the online route for selling its products and has partnered ecommerce major, Flipkart, a move earlier made by Motorola. Xiaomi plans to start selling phones on its own website in the near future as well. Barra said the company will not look at spending big on advertising and marketing but instead focus on social media to spread the word. 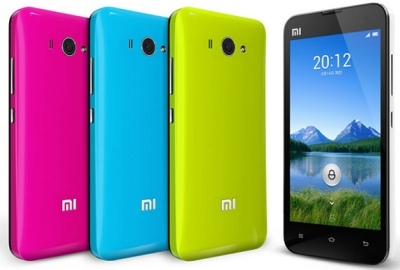 Xiaomi Mi 3, which goes on sale starting July 22, has 5-inch display, 2.3GHz quad-core processor, 2GB RAM and Android KitKat OS with Xiaomi's proprietary MIUI skin on top, 16GB internal storage, 13MP rear camera, 2MP front camera and a 3,050mAh battery. Asked how the firm manages to make its phones affordable, Barra said there is a three-pronged strategy. "We have a different cost structure. Right from designing to component procurement to distribution, we manage it all. We hardly have any marketing spend and we go to the consumer directly, like online to cut distribution costs. We would want to pass the benefit onto the consumer," he added. Xiaomi India Head Manu Jain said the company will focus on expanding its service centres and after-sales services. "We are looking to provide the best in class experience to our Mi fans in India. We are starting with 36 service centres across top 20 cities with two exclusive Mi centres in Delhi and Bangalore," he added. The Xiaomi Redmi 1S features a 4.7-inch display, powered by a 1.6GHz quad-core processor and 1GB RAM. It comes with 16GB internal storage (expandable up to 64GB). With 2,000 mAh battery, it has 8MP rear camera and 1.6MP front camera.